Liz Mohler, M.S. is a Retreat Facilitator, Speaker and Career/Life Coach. 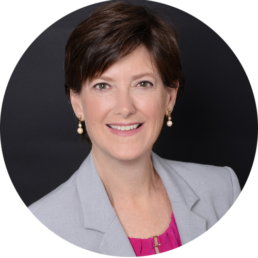 With humor and open dialogue, Liz challenges individuals and groups to identify their core values, motivations and personal styles to lead successful lives. She helps teams and individuals understand their uniqueness and the importance of communicating assertively to achieve their personal goals and group goals. Guiding and training business teams to be more productive and connected. Personal exploration and advice to improve work-life balance. Inspiring groups one talk at a time. Liz was extremely friendly, got straight to the point, and was very supportive! Liz was great to work with, she is a very good listener and provided great feedback. I liked that she was understanding and her positive attitude and approach made me feel optimistic and more clear on my career objectives. She gave me tangible, measurable goals and tasks to do, and helped me shift my paradigm of thinking. I'd highly recommend speaking with Liz! Liz did an excellent job of listening to my current skills, background experience, and career goals. She synthesized that information and made a number of concrete recommendations that I plan to implement immediately. Highly recommended. Liz provided some excellence frameworks on how to approach my current role and possibilities in my future career (I took plenty of notes). Most importantly, Liz pivoted to address the issues that would add most value me. Liz has a very positive outlook and she takes the time to listen and tailor the advice to the individual. Liz has provided me with some excellent objective feedback and pointers that will help me achieve my career goals. Take Your Life and Business to the Next Level! Realize your Potential, Visualize your Goals, Actualize your Dreams.